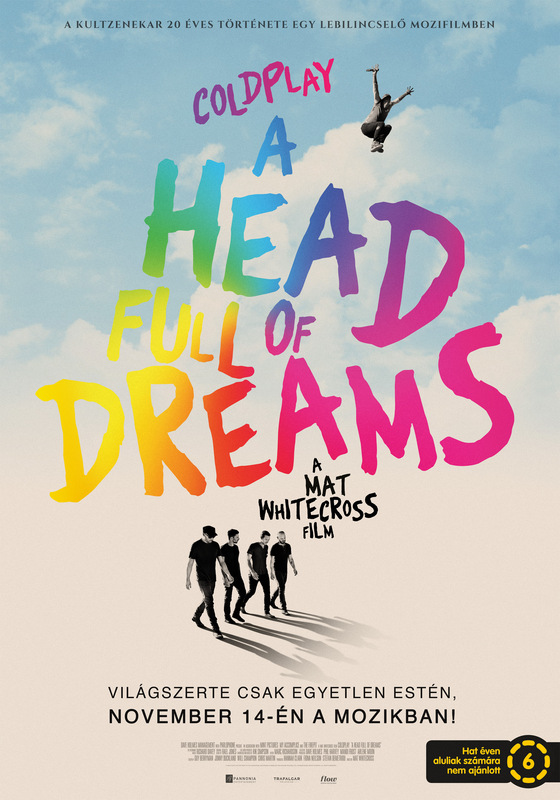 COLDPLAY will celebrate their 20-year anniversary with „A Head Full of Dreams”, title documentary film, which describe in-depth and intimate portrait of the band’s spectacular rise from the backrooms of smokey pubs in climbing up the ladder in selling out stadiums across the planet. Will feature behind-the-scenes and live footage, as well as extensive film from unseen archive. The movie, directed by Mat Whitecross (Supersonic), will open for one-night-only on more than 2000 movie theaters around the globe on November, 14. 2018. The exclusive performance features current and past hits as well as and can hear intimate Q. and A., also following session of the band. Fortunately, the Coldplay Hungarian fans will not miss out on the premiere: 15 home cinema can be seen in the film, with Hungarian subtitles: Budapest Corvin Cinema, Polus Cinema, Csepel Kult Theater. Outside the cities from the capital: Szeged, Pécs, Szombathely, Salgótarján, Kaposvár, Szentes, Mako, Zalaegerszeg Székesfehérvár, Visegrád, Eger and Nyergesújfalu. The production brought on specialized cinema broadcasts by Pannonia marketing of Entertainment. Probably not on my own by saying … there are only a few bands in the history of rock and roll that would have rolling out the red carpet for Coldplay around the world. Tickets for the film theater screenings a/m cities on the spot. MittelCinemaFest – Hungary – 2018. XVI. Central European Italian Fim Festival – Hungary – 2018. November, 6 – 16. 2018. The Italian films are present at the most important international film festivals such as Cannes, Berlin, Buenos Aires, Toronto, Shanghai, Tokyo, Locarno, New York, and London. Over the years, MittelCinemaFest has established itself as a better-awaited event, greater attention will be paid each year in the Italian film, so much so that more and more interested in spreading Hungarian distributor of Italian films. This year, distributed by Mozinet the Cinenuovo, Cirko Film Service and ADS Italian films are in the program, which reflect well on the film festival is a major objective, that is a successful Italian films and valuable knowledge for the Hungarian audience. Puskin cinema in Budapest, Tabán cinema in Budapest, Downtown cinema in Szeged. This year for the first time at the Apollo cinema in Debrecen. Spooktakular event … the ghosts are coming out during the evening – till dawn … not to be missed … Weekend October. 26 – 28. 2018. By the end of October will be farewell to Halloween at one of the traditional Pumpkin Festival! The celebration of ancient Celtic traditions dates to the night of October 31, the night before the All Saints, at night. There has been a growing popularity in Hungary, or might not, but it is certain that the celebration of Celtic witches, ghosts and other demons has been transformed into a good-nature, fanciful, costume-inspired, pumpkin-shaped, pumpkin-filled party with a slight fright. There are lots of ridiculous venues to go throughout Hungary to meet spooky folks … and telling you … still in time to purchase the props. 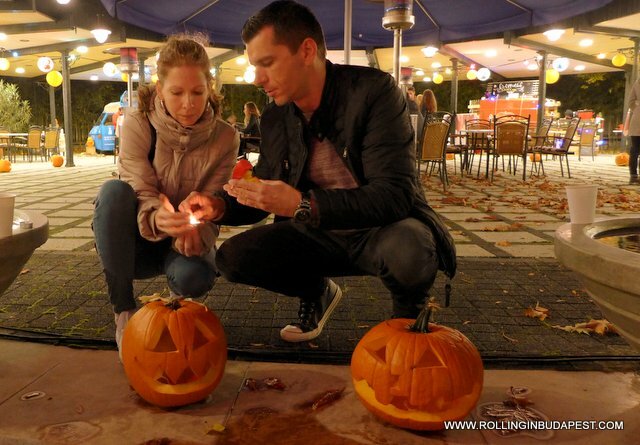 Bring your own hand-carved Halloween Jack O’Lanterns to the Heroes’ Square. Pick a great Halloween costume … usually not required, but if you don one, you will have fun! Telling you … still in time to purchase the props. and of course bring your own pumpkin. A really cool annual free event. Outside the Capital, just mentioning a couple of cities where the locals and foreigners might be around, to get/to be at these superb venues to splash into the mood for a fabulous ’Spooky Night”! For more whereabouts log onto Tourinform cultural program suggestions, you can see the spooky figures close to you. June, 23 till 24 2018. The 4th International Day of Yoga & 3rd Ganga-Danube: Cultural Festival of India is coming up again thanks to the awesome support, initiative by Indian Embassy in Hungary. On June 21, we celebrate International Yoga Day worldwide. The following the successes of the past three years, the Hungarian Embassy in India working together with local prominent yoga schools with different programs to draw attention to the health conscious life style among the people who follow India’s traditions, all the arts, both in the field of ancient healing. The festival will be rolling in throughout 21 cities in Hungary! It will be a Week-End full of Yoga, Indian Dance, Music, Food, Henna and much more! Do not be surprised in the cities below when hearing traditional music from India. Here are the cities to join Enjoy – Yoga: Saturday, June, 23. at the Margaret Island Athletic Center (Margitszigeti Atlétikai Centrum) – Budapest. Outside the Capital same timing at different cities from 10 a.m. to 8 p.m. may join the Yoga Festival at the following venues: Alsóörs, Balatonfüred, Békécsaba, Eger, Esztergom, Kecskemét, Miskolc, Nagykanizsa, Nagykőrös, Nyíregyháza, Somogyvámos (Krisna Valley), Sopron, Szeged, Szentendre, Veszprém and Zalakaros. Sunday, June, 24., the Yoga goes on at the cities of: Pécs, Sárvár, Debrecen and Győr during: 10 a.m. to 8 p.m.
During this year’s holiday series, local yoga schools will showcase the ancient practice of yoga, which has a Common Protocol called Yoga. The program is jointly Ankita Sood yoga expert who worked in the local schools of yoga, who is the Embassy of India, Yoga expert delegate to Budapest. The Indian Council for Cultural Relations (ICCR) will send two ensemble this year’s festival; 10-member Namame Gange Bharatnatyam Society and 10-member Manipuri Folk Dance Group. NamameGange Bharatnatyam dance troupe perform a dramatic choreography of India’s holiest river, the Ganges what has been revered as sacred since ancient times and is culturally dominant for the whole of India. The topic of the lecture India and Hungary symbolic cultural integration via the two rivers, the Danube and the historic holy Ganges. Manipuri folk dance group – Cholet Pung, which is a big artistic rarities and specially choreographed stage show. This is the first time that North East India folk dance group coming to Hungary. To participate at any of the a/m cities is free of charge. Everyone who already practise Yoga and the newcomers, interested in the India traditional culture are more than welcome. 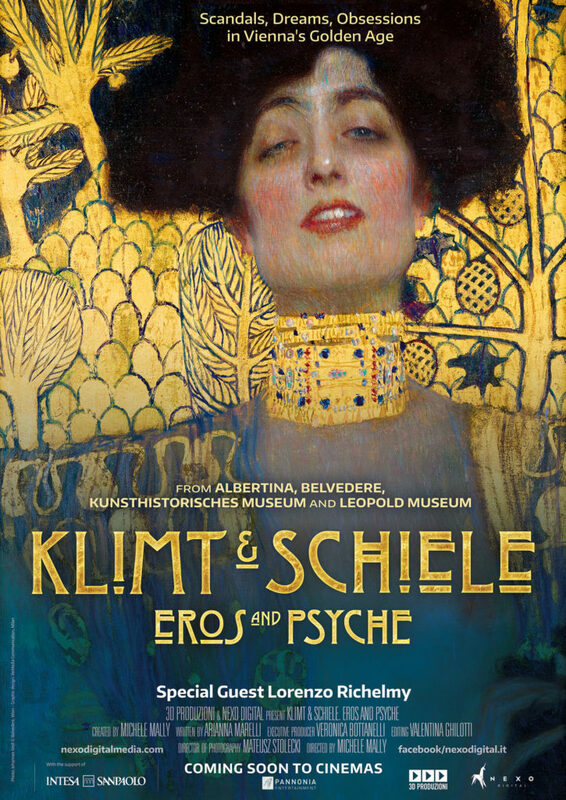 Whether you are a thrifty culture vulture or you are just planning an awesome stay, looking for cool things to do this upcoming „Museum Nights” in Budapest or at any other cities in Hungary … catch up the art and at the great museums which feed your curious mind for only the price of one wrist strap. For adults 1500HUF, children 600HUF, under 6 years free of charge. The wrist strap can be purchased at the Budapest’s and regions museums participating in the event. For adults 1500HUF, children 600HUF, under 6 years free of charge. So with the bracelet pay-what-you-wish hours handy! The wrist strap can be purchased at the Budapest’s and regions museums participating in the event. This year in Budapest 60, at the city of Kecskemét 11 and at other regions cities 129 museums joined the program. The organisers announced there will be a call for applications for this year’s Night of the Museums in Kecskemét. These will motivate those public collections and galleries participating in the Night of the Museums to provide the richest offer of programs. The most innovative initiatives program will also be receiving the “public choice award”. The “Museum Night” starting off at noontime on June, 25. 2016 and ends 2.30 a.m. Some highlight places sure to be visited are: Bozsó collection, the International Ceramics Studio, the Photographic Museum and Leskowsky Instrument Collection and other 47 locations await visitors this night. The venues can be reached back-and-forth on the local popular retro buses. The theme of this year’s Night of the Museums is namely “Heros, explorers, innovators” and its “Capital” is at the City of Kecskemét. It was the home town of József Katona, the writer of Bánk Bán – the message of patriotism. This year Hero Training – Hősképző will operate whist playing detective, and a number of other challenges and adventures await visitors to the museum that night. At the Deri Museum in Debrecen throughout the day the play’s heroes will encounter while remembering József Katona – Bank Ban and Melinda figure when-and-where all over the city the sharp-eyed visitors can catch a hold of the pops up figures. This year will be running in Budapest as usually BKK Museum Bus, which can make use of the wristband holders. The buses take the visitors to seven different routes between 6 p.m. – 2.30 a.m. 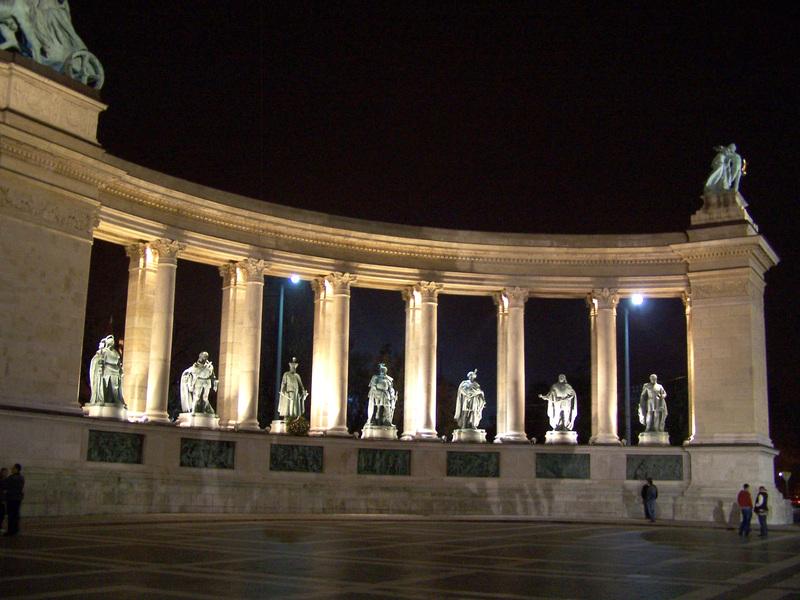 Visitors arriving to the Budapest’s museum may travel by the use of MÁV-START Zrt. or the GYSEV trains with 50% of casual round off the country from any domestic station of Budapest, Debrecen, Nagykanizsa, Szeged, Szombathely and Kecskemét trains arriving on June 25 evening until early the next morning. The discount ticketing options and usage conditions of the detailed information found at the MÁV group’s website www.mavcsoport.hu. In Budapest for the first time, namely environmental consciousness – electric cars will run between the smaller museums in the flagship event sponsor by E.ON. The wristbands can be purchased at the Budapest museums participating in the program and locations, or co-operating partners of the event also at the station’s ticket booth of the BKK – Budapest Transport Center. 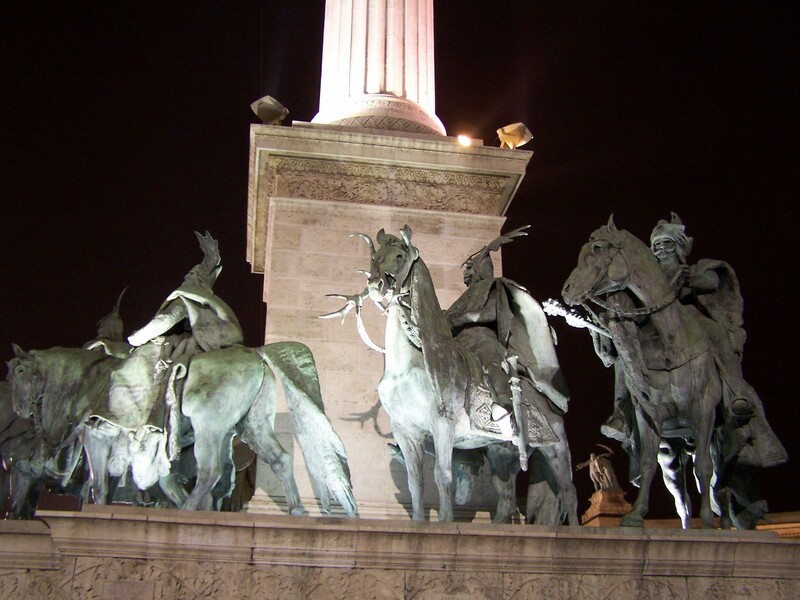 With the valid wrist strap all the affiliated institutions in Budapest and outside the capital participating museums can ride to inspect the permanent and temporary exhibitions. Better to keep in mind to the fact that some institutions are bound by the pre-registration entry due to limited spaces. Region admission tickets to local museums can be bought at the cities museums box office. Wherever your footsteps take you … beside easing the hunger to cultural alternatives, … the local gastronomy places going around the clock is noteworthy to stop by as perfect way to start the Nights of the Museum! From February, 26. 2016 – 6 March, 6. 2016. for the 6th occasion the Institut Français invites movie lovers to join Francophone Film Days – 2016, featuring drama, comedy, romance and thriller movies. This year at two locations in Budapest, the Urania National Film Theater and Cirko-Geyser Cinema. In addition to the film days, concert films, literatures and language programs, theater and dance performances, exhibitions, Q+A at lectures and social issues. Beyond the screening in Budapest, the movies will head to be viewed at other cities in Hungary: Miskolc, Szeged, Pécs, Debrecen, Tatabanya, Székesfehérvár, Szombathely, Szolnok, Jaszbereny, Eger, Győr until the end of March, 2016. During the FilmDays 30 movies, including 23 pre-premier will be screened. Six movies from the Francophone countries Algeria, Belgium, France, Greece, Romania, Canada and Switzerland.